After many months of intense attention to advances in international shark conservation policy through CITES and the European Parliament, it’s time to refocus on sharks in my backyard. 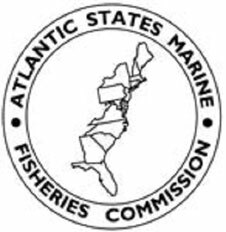 A potentially terrible shark policy precedent has been brewing through the Atlantic States Marine Fisheries Commission (ASMFC), and threatens to weaken that body’s coast-wide ban on finning (slicing off a shark’s fins and discarding the body at sea) smoothhounds and other sharks. Help from the concerned public is needed in the final few days of the official public comment for this proposal! 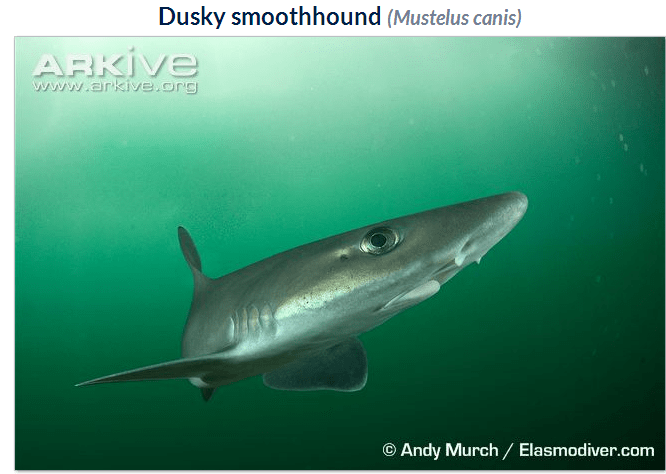 more than doubling the maximum smoothhound shark fin-to-carcass ratio from 5% of dressed weight to a whopping 12%, meaning much higher volumes of fins could be landed per carcass. The troubling proposals stem from confusing text contained within the 2010 Shark Conservation Act, which suggests a smoothhound exception in a national ban on removing shark fins at sea. This language, however, has yet to be interpreted by the federal government. 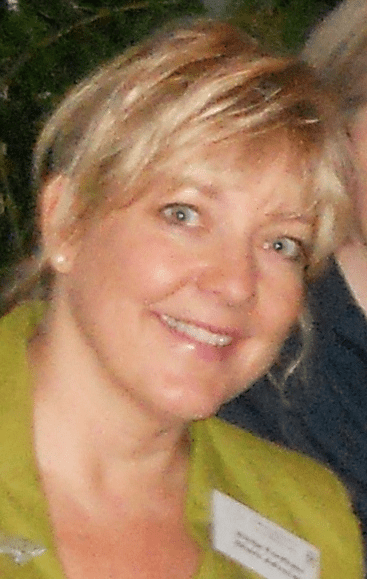 State interpretation and implementation is therefore premature. More important, the proposed changes represent a huge step backwards in finning policy at a time when much of the rest of the world is moving toward the clear best practice for finning ban enforcement: requiring that all shark fins stay naturally attached to shark bodies. For example, the European Union (EU), among the top suppliers of shark fins to Asia, has recently changed course from lenient, hard-to-enforce ratios toward complete bans on at-sea removal of shark fins, regardless of species. 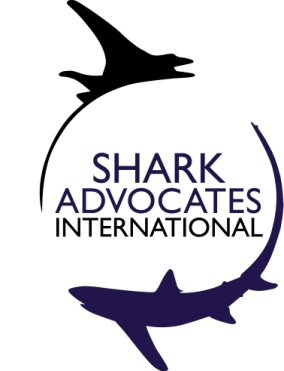 The U.S. federal Atlantic ban on at-sea shark fin removal, along with “fins-naturally-attached” decisions in the EU and elsewhere, are based on expert advice that the only way to be sure that sharks have not been finned is to mandate that their fins cannot be removed until after landing. In addition to improving and easing enforcement, this policy facilitates the collection of species-specific catch data, which are vital for population assessment. The ASMFC, however, has not even proposed a fins-naturally-attached policy for smoothhound sharks, or any stronger measures, as options for public comment. Allowing year-round smoothhound shark fin removal under the world’s most lenient fin-to-carcass ratio would hamper enforcement and create wiggle room for fishermen to fin smoothhound sharks without detection. Other species of small coastal sharks as well as juveniles of depleted large coastal shark species could also be at risk for undetected finning and unrecorded mortality because of these loopholes. In addition, relaxing a state finning ban jeopardizes the U.S. reputation and goals as an international champion of the fins-naturally-attached method. The U.S. has supported the end of complicated fin-to-carcass ratios in the EU and elsewhere, and has proposed complete bans on at-sea shark fin removal at international fisheries bodies. The ASMFC is scheduled to take final action on these measures during the week of May 20. What can the funniest shark memes on the internetz teach us about ocean science and conservation? As a concerned and very active citizen, I request that no delay occur regarding the banning of shark finning. This was a major undertaking by many and a set back would be a slap in the face on our right to petition and effect change. The sharks deserve to be left alone to roam the oceans that they inhabit and own. Humans cannot decide the fate of any animal for our own gain. To clarify, we are not asking for “no shark fishing at all”, we are asking for the ASMFC to follow best practices and require a “land sharks with fins naturally attached” policy. What happened to “the prevention of physical waste of the fisheries from any cause?”. They are insane to relax standards. There is no humane reason for this. Its greed pure and simple. I have yet to actually see the science behind that 12% ratio, and that may be what bothers me the most about this situation. I can definitely see smooth dogs having a higher fin/body weight ratio than other sharks, but 12% seems absurd. Also, you wouldn’t have to worry about fin/body ratios at all if you’re already landing sharks whole. I personally wish all shark finning or fishing is banned, period. However if any shark finning is to be allowed then at the very least let us follow the “fins-naturally-attached” route which is more humane as the shark is not cut while alive and then just left to die, unable to steer in the ocean. The US must take an ethical stand and lead the way for other countries to follow or at least be among the most civilised countries when it comes to our treatment of marine life. Shark finning makes the monitoring of populations much more difficult, not to mention being a wasteful, cruel practice. If larger fleets (like those of the US) can follow a ‘best practices’ route, then conservationists in other countries will have more of a ground to stand on as they try to effect progressive changes in their own fisheries’ policies. Please ensure that any sharks of any variety are only landed with their fins. The practice of finning is both cruel and distructive of the fish stocks in question. It also needs to be remembered that sharks are the top predators in their ecosystems. Without them the rest of the eco-system begins to fail to the detriment of the rest of the species and to biodiversity. You only have to check the relative health of Yellowstone National Park, before and after the re-introduction of its top predator to see the huge increase in biodiversity which followed the wolf being brought back. As a scuba diver, it is an honour to be able to see and watch sharks in the wild. Shark finning is a despicable crime against the species, which is devastating the population of all sharks. It is completely unnecessary and horrifically cruel. All finning should be banned with immediate effect, without question. End it now. I emailed to the above link and got this back from them. Thank you for your interest in coastal sharks. The Interstate FMP prohibits the finning of all coastal sharks. Finning is defined as the removal of the fin while discarding the carcass back into the ocean. Two potential ways to manage sharks while prohibiting finning are to require fins to remain naturally attached or implement a fin-to-carcass ratio. Fin-to-carcass ratios are intended to allow processing of sharks at sea, but not allowing the wasteful discarding of the shark carcass. Smooth dogfish must be processed at sea in order to prevent the meat from spoiling. Draft Addendum II proposes a fin–to-carcass ratio management program for smoothhound sharks. The total weight of the fins cannot exceed 12% of the total weight of the carcasses on board. This is consistent with the Shark Conservation Act of 2010 which was approved by Congress. If you have any questions, please feel free to contact me at [email protected]. I was pleasantly surprised to see that my mail to ASFMC from distant France received a prompt answer from Marin Hawk. Among other detailed comments, he states that “The Interstate FMP prohibits the finning of all coastal sharks” and that “Draft Addendum II proposes a fin–to-carcass ratio management program for smoothhound sharks. The total weight of the fins cannot exceed 12% of the total weight of the carcasses on board. This is consistent with the Shark Conservation Act of 2010 which was approved by Congress.” I have tried to argue that this 12% figure seemed excessive and that compassion and respect for living beings should encourage humans to stop predating on animals altogether… ! Shark finning is simply cruel, and allowing the fins to be removed at sea will allow that to continue. Sharks are finally being seen as vital to the health of the ocean’s ecosystems, after centuries of being seen as “evil”. They should be treated with the decency due any other living creature. The expert advise should prevail that the only way to ensure the sharks haven’t been finned is to require they be landed with fins intact.